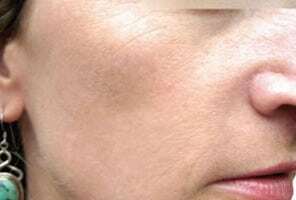 At Premier Laser & Skin Clinic in London, we have found medical grade Intensive Pulse Light (IPL) Skin Rejuvenation to be among the most effective method of treating skin damage in a non-invasive way. Here at Premier Laser & Skin Clinic in London, we treat both men and women with the state-of-the-art technology in Laser and IPL Skin Rejuvenation treatment so you know you’re in the best possible hands. Using medical grade, FDA approved Intense Pulsed Light (IPL), unlike other salon who use cheap and low quality IPL equipment imported from Far East, we will be able to precisely treat any area of your body and improve the overall tone and texture of your skin, reducing the visible signs of ageing. You will meet with one of our highly trained practitioners for an initial consultation who will explain to you the treatment procedure. Any medical conditions can be discussed during this time. You will be given a patch test to determine your suitability for the treatment. Most of our clients are suited to treatment no matter what their skin type or colour is. Your first session will take place at a later date following your consultation. You will be provided with a protective eye wear and a cooling gel will be applied to your face. Your treatment will begin which usually takes around 30 minutes. After the procedure your skin may be slightly red and we advise application of a cold compress if this is the case. You will also be advised to avoid swimming pools and spas in addition to soaps or perfumed skin products which may irritate your skin. We also advise that you avoid excessive sun exposure and exercise for at least 24 hours following your treatment but other than that you may continue as normal. 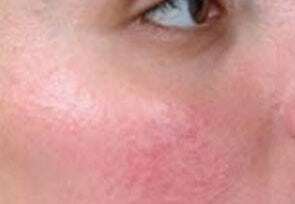 I HAVE SENSITIVE SKIN, IS IPL SUITABLE FOR ME? 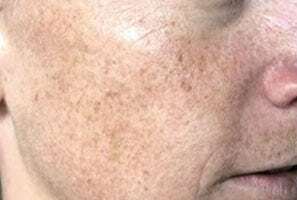 IPLs advanced technology allows us to tailor treatments to our clients individual skin tones and conditions, making it perfectly safe and effective for all skin types. In fact, one of the primary benefits that IPL delivers is to reduce skin sensitivity. As with all of our treatments, you will receive a full consultation with your expert practitioner beforehand, to develop your understating of the treatment and answer any questions you may have before creating the perfect regime for you. HOW MANY SESSIONS WILL I NEED BEFORE I SEE ANY RESULTS? Results are visible immediately however, depending upon your individual needs, a course of treatments may be recommended for optimum results. 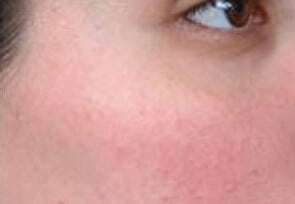 Immediately following the treatment, skin may feel warm and pink, similar to mild sunburn. This is completely normal and will soon die down. CAN I JUST HAVE A PARTICULAR AREA TREATED? Absolutely, IPL can be used to for the entire face or a specific targeted area, be it on the face, chest or hands.